Anyone with a serious interest in plants of the American Southwest will be definitely want a copy of “Sonoran Desert Plants-An Ecological Atlas.” By Raymond M. turner, Janice E. Bowers, and Tony L. Burgess, this was published by the University of Arizona Press. This invaluable reference is sure to become a classic. Very easy to use, this title is a fully expanded and updated version of an atlas that was originally published over thirty years ago. This revised edition belongs in every cacti and succulent lover's library. It is more than an atlas for it also serves as an encyclopedia of plant life. It features 400 species of plants, including succulents as well as woody plants. 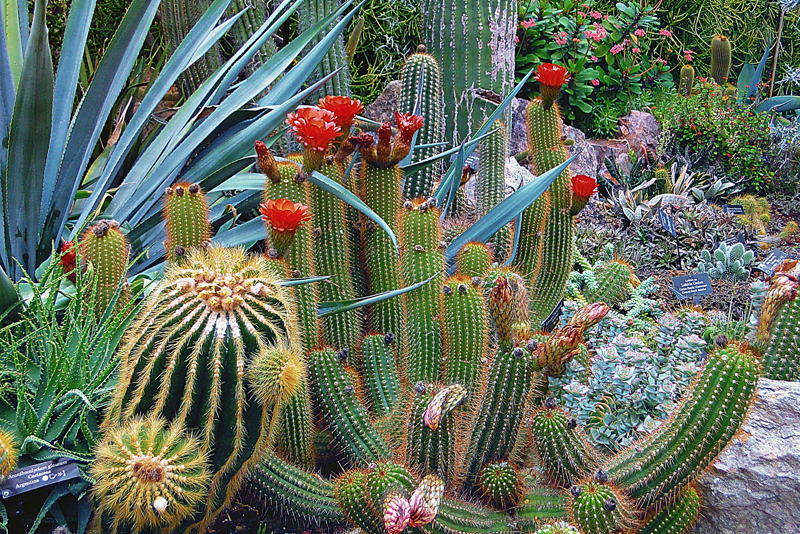 Of the total plants covered in this title, around 60 or so are succulents or cacti. For each species, the authors give the Latin name, synonyms, common names, and a comprehensive plant description as well as complete details on their natural history, ecology, distribution, their economic role, and ornamental value. The authors devote particular attention to pollination by various agents. There are black and white photos for some of the plants. For each species, there is a thumbnail distribution map as well as an expanded map showing its exact locations along with a chart noting the elevations of the areas in question. The plants are arranged alphabetically by Latin name. If you aren’t sure of the Latin name, there’s a handy index listing the common names. The appendix contains a helpful glossary of terms and an extensive list of references. This title will be of particular interest to cacti and succulent fans and native plant lovers. In addition, those with an interest in conservation will find it useful. It will be particularly helpful to botanists and plant ecologists. Turner served as plant ecologist with the U.S. Geological Survey (USGS) before he retired. Bowers is a botanist with UCGS. Burgess was a plant ecologist with USGS.